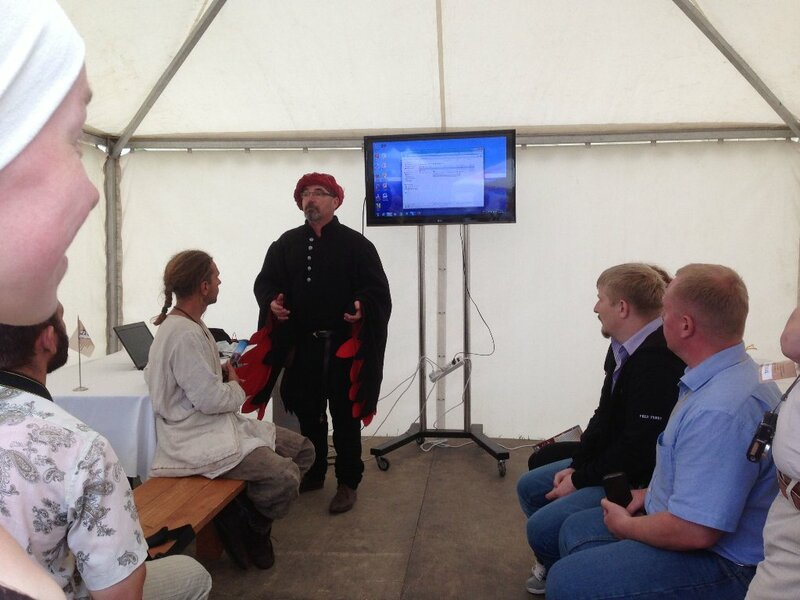 As an EXARC Board member, I attended the Times and Epochs Festival in Moscow from June 21-23, 2013 in the open-air museum Kolomenskoye Park. 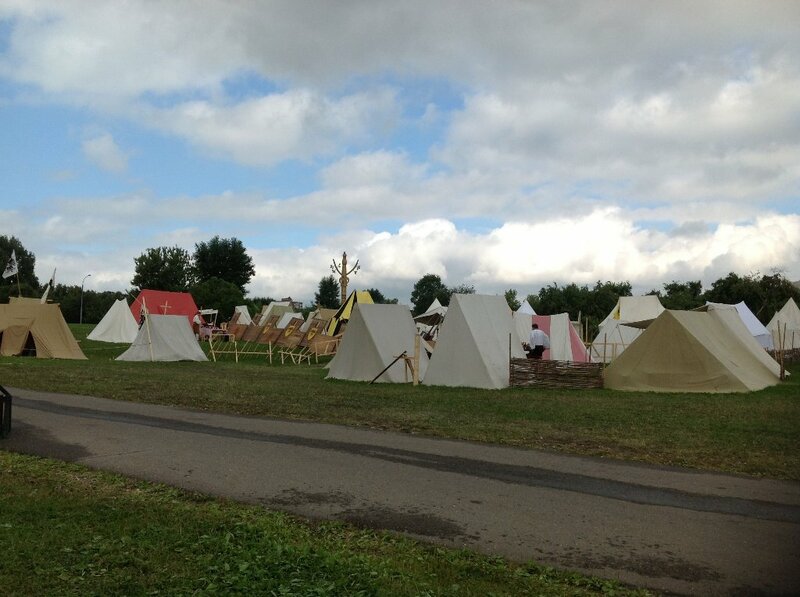 This year, an estimated 200,000 people attended the medieval themed festival where they were able to witness and interact with 2,000 re-enactors from 40 different countries demonstrating period and place correct blacksmithing, pottery, wood-carving, felting, jewelry making, boat building, and a variety of other skills. There were also jousting tournaments, and full combat demonstrations in the arena. Many of these re-enactors were highly skilled and the manner in which they interacted with the public, especially children, was truly impressive. 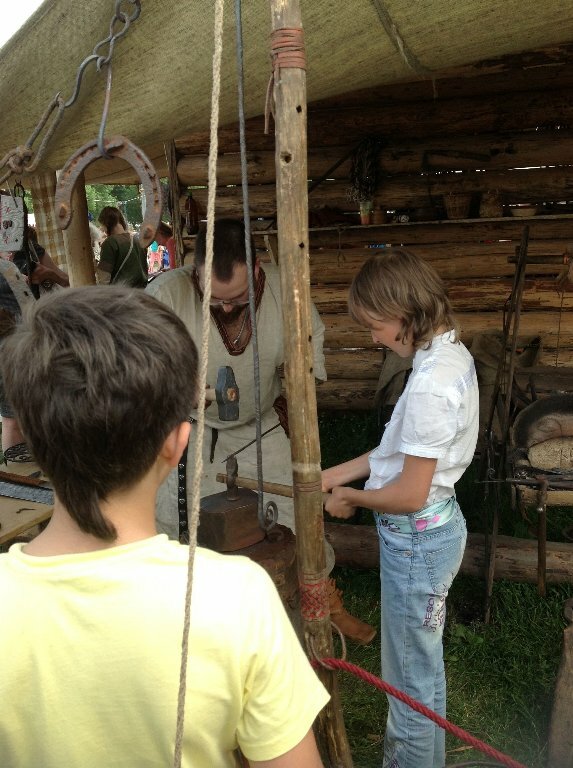 In addition to watching artisans demonstrating their crafts, stations were set up for kids to try their own hand as felting, blacksmithing, pottery, wood-carving and archery. This was a worthwhile adventure. EXARC’s presence at the festival and interaction with the other directors brought us in contact with new projects in Russia and surrounding countries. 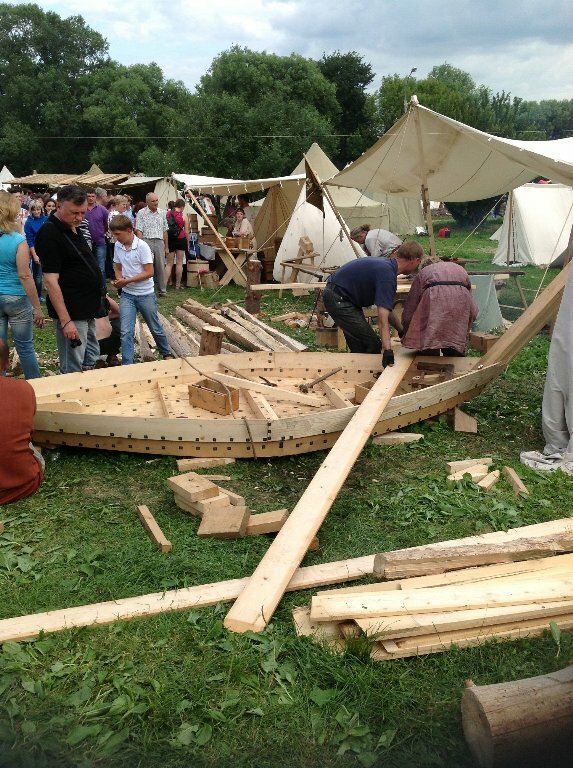 In this, the third year of the festival, the organizers decided to introduce meaningful dialogue on open-air museums to the agenda to address the needs of the growing number of open-air museums in Russia and the surrounding countries. This region currently faces many of the same obstacles that open-air museums in Europe and the United Stated have dealt with for years. The directors of many of these museums attended to provide information about their projects and to identify key challenges they face. For example, Roman Anoshkin attended as a representative of Gnezdovo. Roman is the director of an open-air museum set to begin construction on the grounds of an archaeological site with numerous burial mounds and, on the side of a ceramic vessel the earliest example of the Russian language. 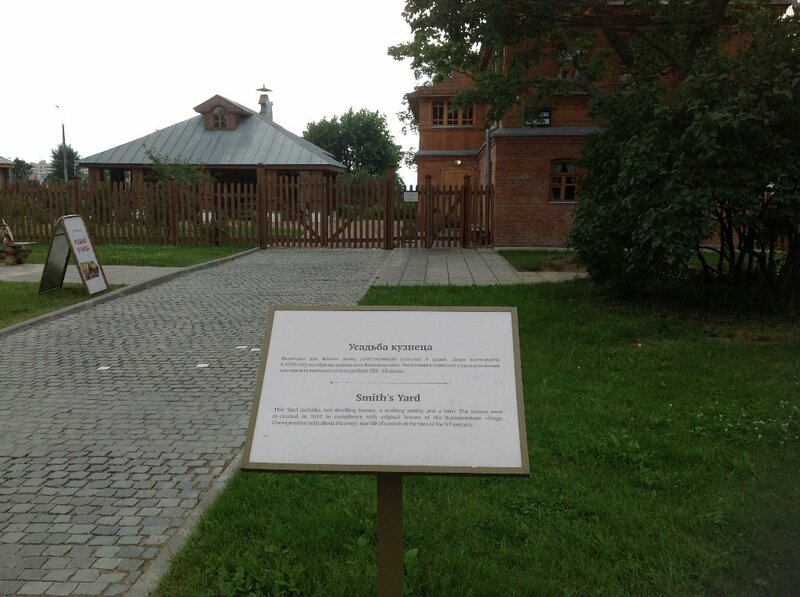 Leszek Struckinskly, from Poland, attended as a representative of Gnev Castle, a recently renovated, open-air museum and interpretive center offering a number of unique experiences for those interested in learning more about Poland’s past in very interactive ways. Dian Krishke represented the Prince riding school in Buckeburg, Germany where they specialize in researching, recreating, and teaching historically accurate riding. Bill Schindler of EXARC was invited to speak to the directors about how we help facilitate dialogue amongst the open-air and experimental archaeological community, provide a platform for networking, and serve as a repository of information. All program participants gave a number of presentations over the three-day period on open-air museums and experimental archaeology in several different settings. The opening presentations introduced each participant. 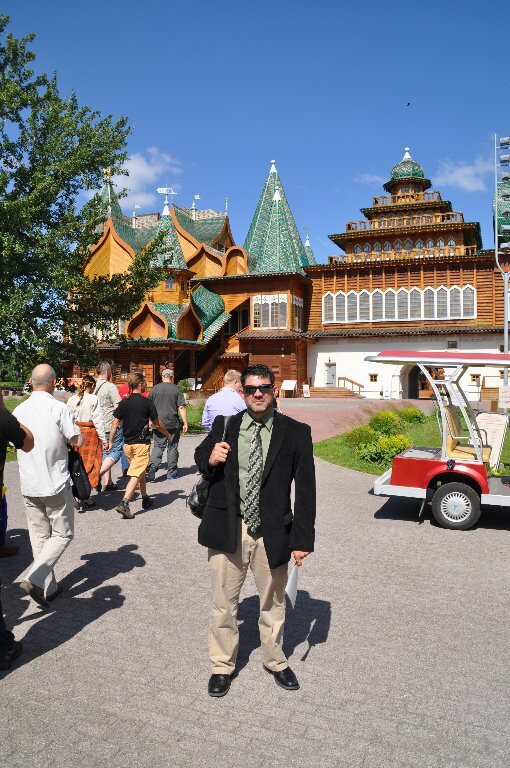 This event took place in the reconstructed palace of Tsar Alexey Mikhailovich. After each presentation, the floor was open for questions and discussions surrounding the problems and obstacles facing each project. The second round of presentations took place on the festival grounds. The audience for these longer and more in-depth presentations was much broader and included other presenters, conference organizers, and some of the public attending the conference. After each presentation there was time for questions and discussion. Representatives from the open-air museums and EXARC also had plenty of time to interact with the public attending the festival, answer questions, and distribute information. There was also time specifically set aside for unhurried dialogue amongst the presenters and, as with most conferences, some of the most valuable exchanges took place during this time. This was a worthwhile adventure. EXARC’s presence at the festival and interaction with the other directors brought us in contact with new projects in Russia and surrounding countries. It was obvious that EXARC’s infrastructure and support network is the ideal platform from which to include these new members and advance everyone’s network on an even larger scale. We look forward to welcoming new members and the increased dialogue that follows.